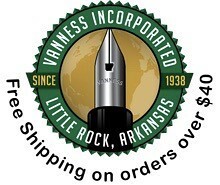 Regular readers of this blog likely already know Retro 51, the maker of the “Tornado” line of rollerballs, fountain pens, and pencils. 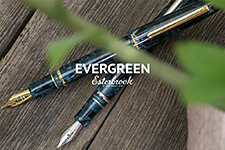 Their special editions - including the most recent “Zodiac” pen - sell out quickly, and fuel a lively sub-group of Retro 51 enthusiasts and collectors within the larger pen community. For today’s post, I’m going to take a look at a pen from Retro 51 that doesn’t receive the attention it necessarily deserves: the vintage-style desk set. Retro 51 has clearly modeled the vintage-style desk set after the classic Esterbrook version that became a fixture at banks and post offices in the mid-20th century. While this modern desk set features a rollerball and not a fountain pen, it maintains the “vintage” look and truly does class up your workspace. 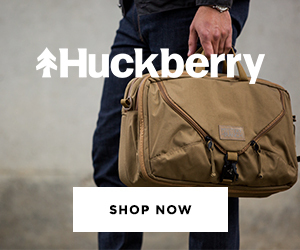 Plus, it’s a Retro 51 product, so the build quality is solid. The dark black cherry lacquer is gorgeous. I'm a sucker for anything red-black, so when I saw that this color was available... you know the rest. The only branding on this set is a small imprint around the pen holder on the base. My desk set has been beautifully finished and looks great on my desk. Per the manufacturer’s specs, the base is made of poly resin and coated with polished lacquer, which on this particular desk set is "Black Cherry," a dark red-black color. The bottom of the desk set sports a felt pad, so it won’t slide around or scratch your desk. The pen itself is made of metal and coated with the same lacquer as the base - I would guess it’s aluminum, given the extremely light weight. 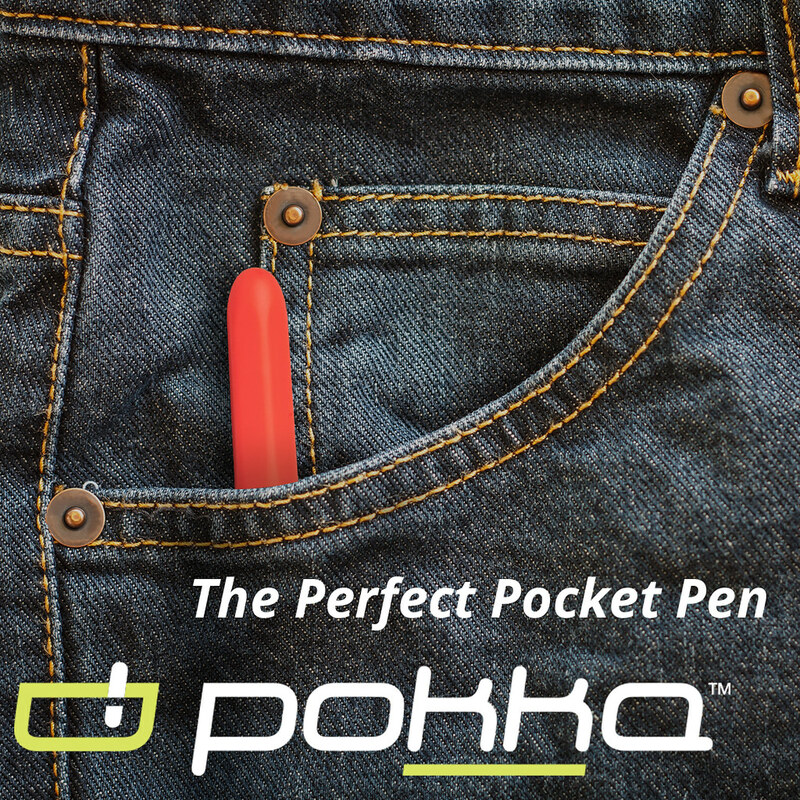 Despite the metal barrel, the pen is not noticeably heavy, and in any event the length and tapered design lends it exceptional balance. 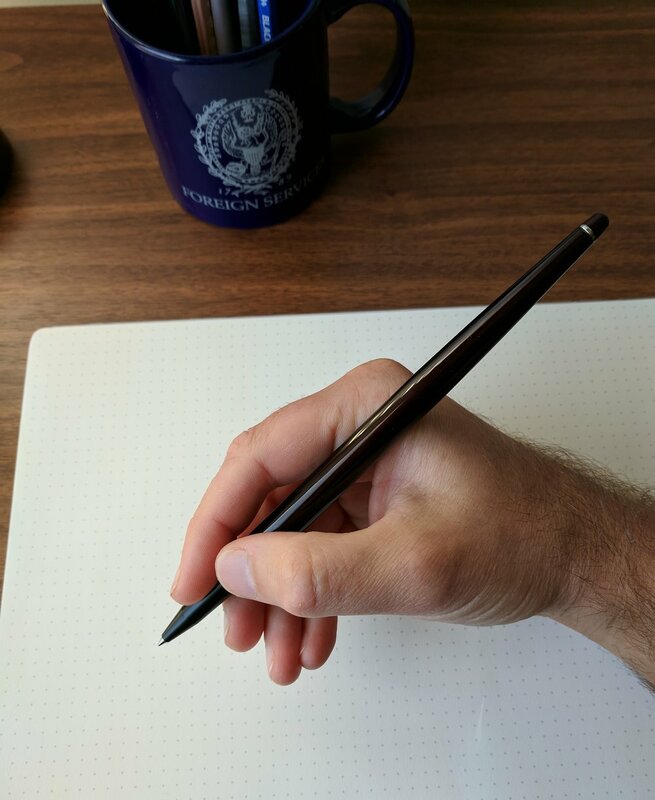 Since I received this pen in the mail, I’ve alternated between it and the Inventery Machined Pen as my tool of choice for working things out on my Baron Fig Mastermind desk pad. Both sport the same excellent Schmidt liquid-ink rollerball refill, and also accept the Schmidt Easyflow 9000 ballpoint refill. 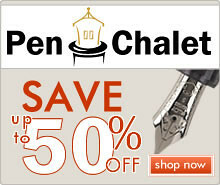 I’ve dabbled with collecting vintage-style desk pens over the years, and this has piqued my interest once again. 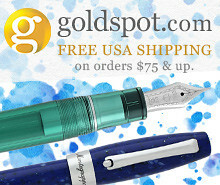 You can purchase the Retro 51 Desk Pen from our sponsor Goldspot Pens. 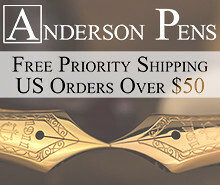 As with all Retro 51 Pens, the pricing is well below what I would expect for an item of this quality. 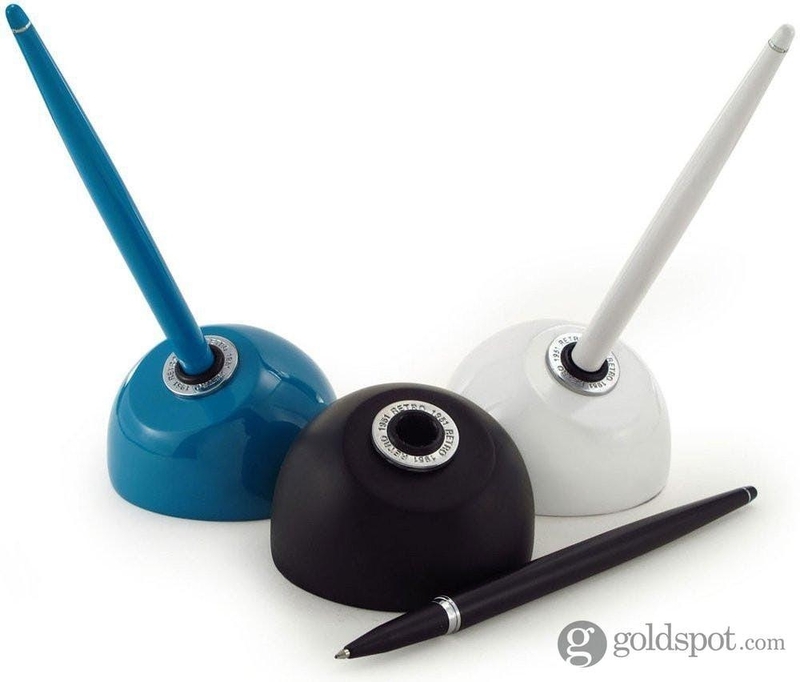 Typically priced at $60 for the desk set, Goldspot has them on sale for $48, available in Turquoise, White, “Chalkboard Black” (matte), Stainless Steel, and the Black Cherry version reviewed here. Disclaimer: Goldspot provided me with this item free of charge, for review purposes. 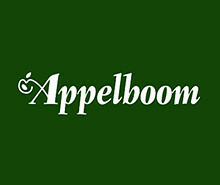 Many thanks to Goldspot for sponsoring the blog.